If your students or staff were less than adequately trained in ventilation and endotracheal intubation, how would you know? RespiTrainer Infant puts you inside your patient’s airway and lungs with instant feedback on delivered ventilation. With RespiTrainer® Infant, you get the essential features of a high-end respiratory manikin plus true ventilation data – at a fraction of the cost. Easy set-up for both instructor and student, so you can start training and testing without delay. Skills trainer for teaching and assessing basic and advanced airway skills, as well as bag-valve-mask ventilation. Real-time feedback on delivered flows, pressures, volumes, etc. How can I test my students using the RespiTrainer Infant Airway Management and Manual Ventilation Trainer? 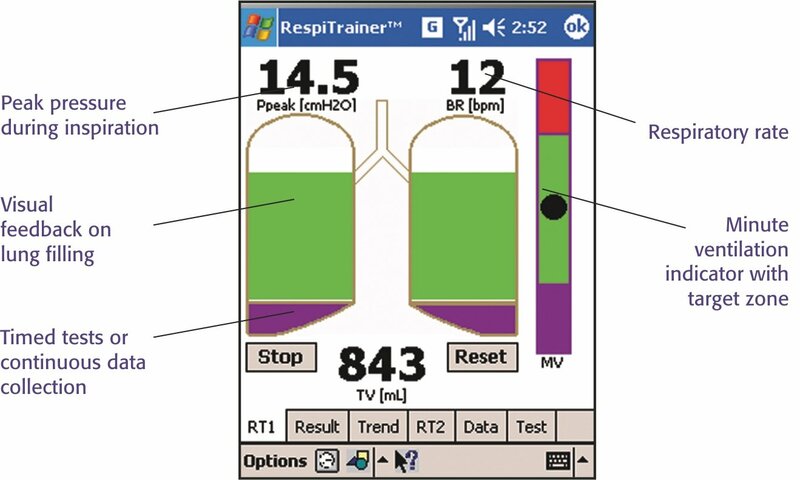 The RespiTrainer software displays and captures individual student data such as breath rate, minute ventilation, tidal volume, and peak pressures on a breath by breath basis. This data can be used with our analysis tool for baseline performance evaluation and subsequent training. What is the RespiTrainer Infant intended to teach? 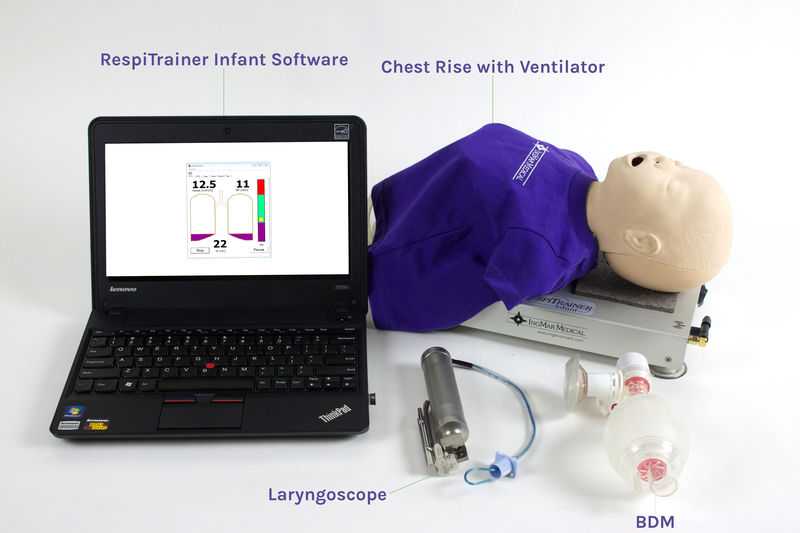 The RespiTrainer Infant was designed to train mechanical ventilation skills by providing realtime feedback on ventilating patients with different lung conditions. Learners can feel the difference between patients and get feedback on how much ventilation they are delivering. That is RespiTrainer’s unique value. The highly realistic airway makes it an excellent tool for training intubation and airway management as well. Can RespiTrainer Infant be used with a ventilator? Yes, RespiTrainer Infant can be connected to any ventilator just as you would a patient, either via an ET-tube or a mask. Thus you can train the whole process from manual ventilation, to intubation, to mechanical ventilation. Can the RespiTrainer Infant breath spontaneously? A ventilator trigger can be simulated by pulling down on the bellows. 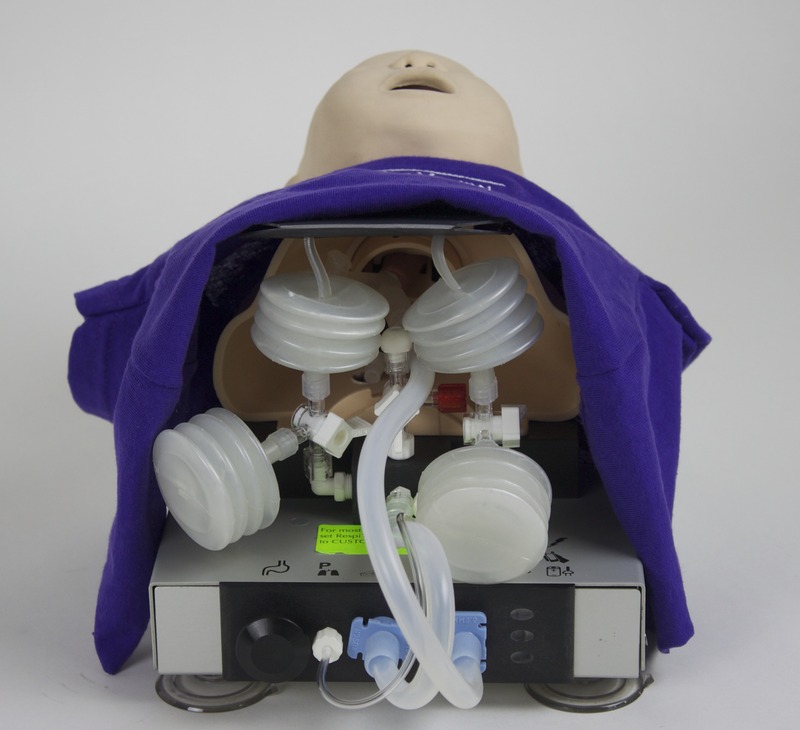 For true spontaneous breathing, we recommend our RespiSim System, which can simulate patients from neonatal to adult. RespiTrainer® Advance for EMS, nursing, and respiratory care training, education and competency testing. Learn more. NeoLung Infant Test Lung for infant ventilation management training and demonstration. Learn more. RespiSim® System for ventilator management training. Learn more.